Ordinary Mary -- an ordinary girl from an ordinary school, on her way to her ordinary house -- stumbles upon ordinary blueberries. When she decides to pick them for her neighbor, Mrs. Bishop, she starts a chain reaction that multiplies around the world! Mrs. Bishop makes blueberry muffins and gives them to her paperboy and four others -- one of whom is Mr. Stevens, who then helps five different people with their luggage. 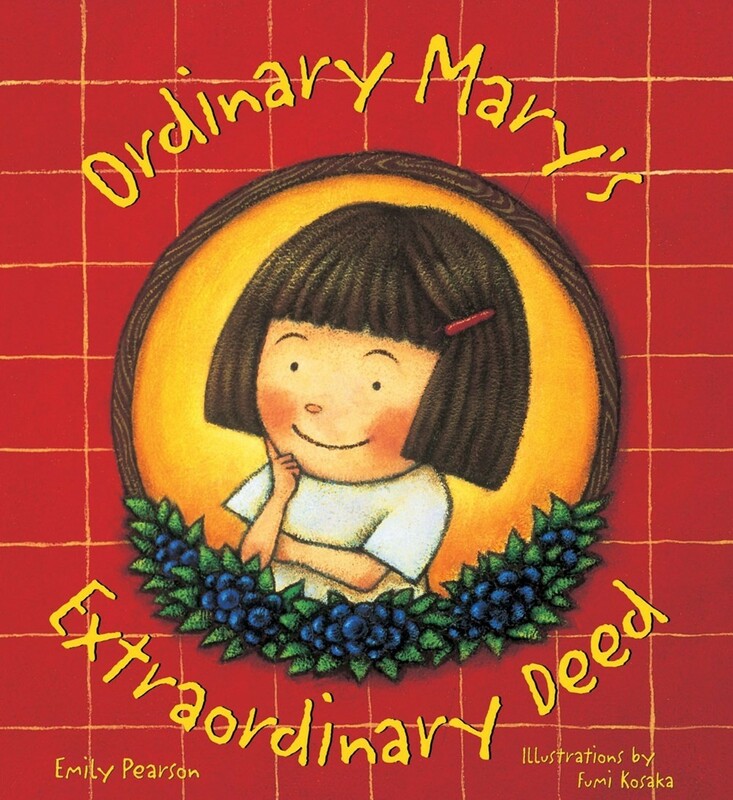 one of whom is Maria, who then helps five people -- including a man named Joseph who didn't have enough money for his groceries -- and so on, until the deed comes back to Mary. 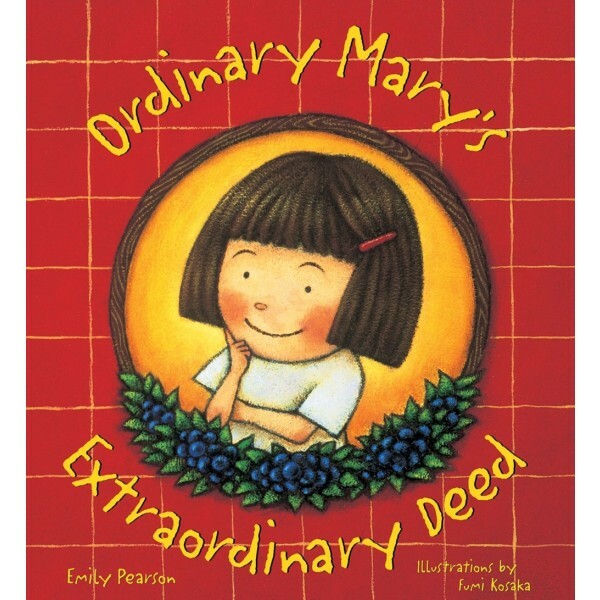 It's a feel-good story that inspires and celebrates a world full of ordinary deeds!